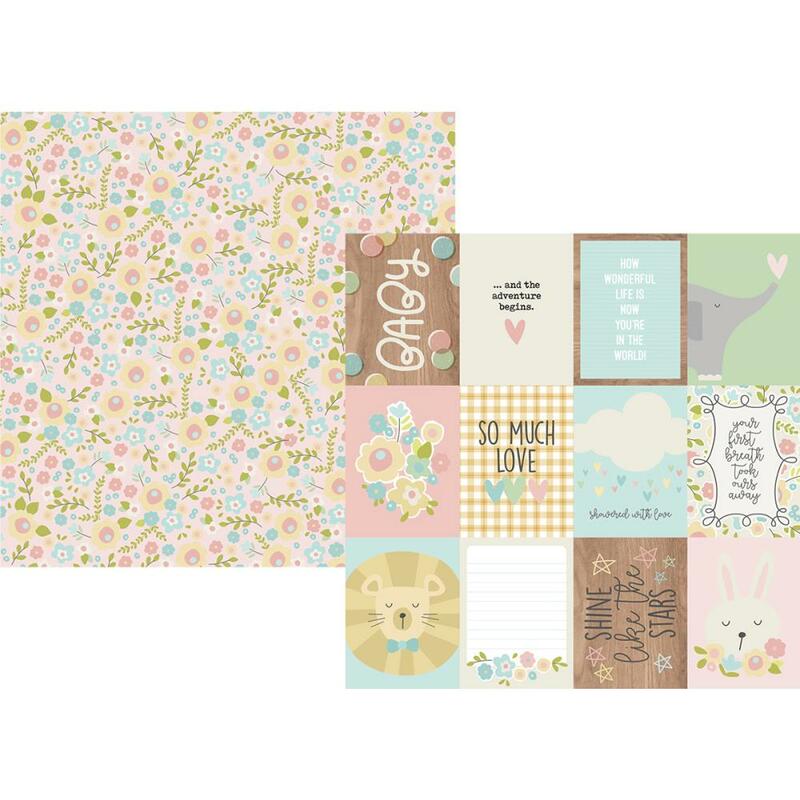 This 12x12 double sided paper has 3x4 Journaling Cards on the frontside while the reverse side has Pastel Posies. Look for the coordinating Oh Baby! Collector's Essential Kit.